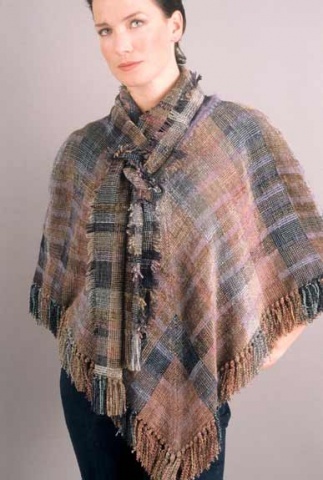 Diagonally cut poncho with V-neck and shaped shoulders. Beautiful drape, easy fit. Available in all blockweave, stripe and huck lace fabrics.